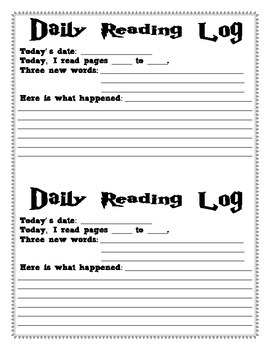 This is a basic reading log I created to use at the end of novel study each day. It can be cut in half to give students half sheets of paper, or it can be given to students in a packet with as many as they need for the week. My students loved the Harry Potter font!